Summer festivals are behind us, but thankfully our favorite bands and musicians aren’t going into hibernation anytime soon. Baltimore is filled with places to hear live music. From hole-in-the-wall venues to huge theaters, there are so many options. The hard part is deciding what you’re in the mood for on a certain night. My first concert in Baltimore was at Rams Head Live. It was my birthday and Julian Casablancas, the lead singer from the Strokes, was in town for his solo tour. Not too big, not too small I thought when I took a look around the venue. From mainstream artists like Lauryn Hill and Corrine Bailey Rae to upcoming musicians like Beirut, Rams Head’s calendar is filled with all types of music. As a college student I know how pricey tickets can be, but luckily Rams Head has affordable prices perfect for students. So if you’re like me and need your fall fix of summer jams, Rams Head is a great place to check out. How do I get there? Easy! Bring your college ID and jump on the free Collegetown Shuttle to Penn Station. From there take the free Charm City Circulator orange route to Stop 202 Commerce Street. Just walk a couple of blocks down to Market Place and signs for Rams Head and Power Plant Live are in bright lights! Upcoming shows at Rams Head Live! 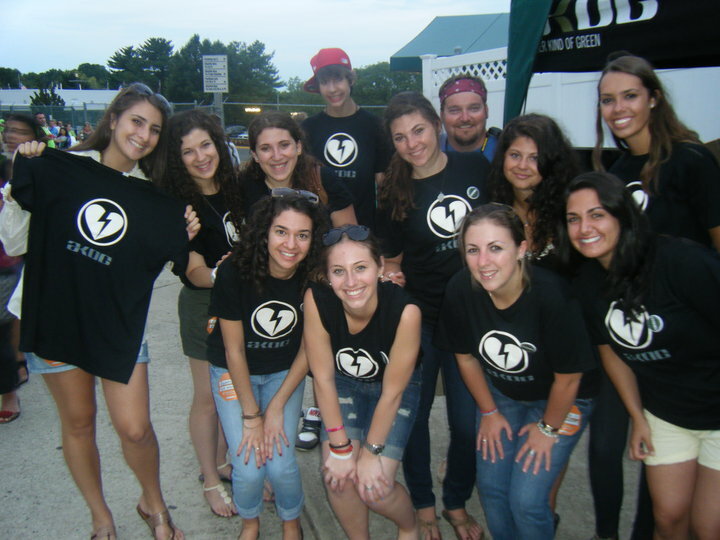 Last summer I had the opportunity to volunteer with Reverb and see John Mayer live! 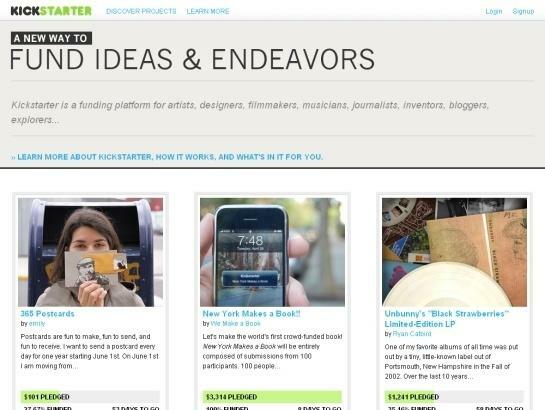 Reverb is an organization that educates and promotes community activism and a sustainable future. 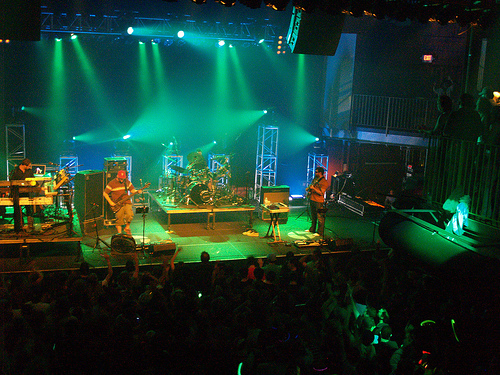 On of the best parts about Reverb is the organization focuses on greening the music industry by providing custom greening programs for music tours and educating fans at concerts. So on a hot August evening I got to spread the word about reducing our carbon footprint and Mayer’s Another Kind of Green organization. Volunteering with Reverb was a fun opportunity to inform music fans of all ages about ways to get involved and help our environment, even in the smallest of ways. 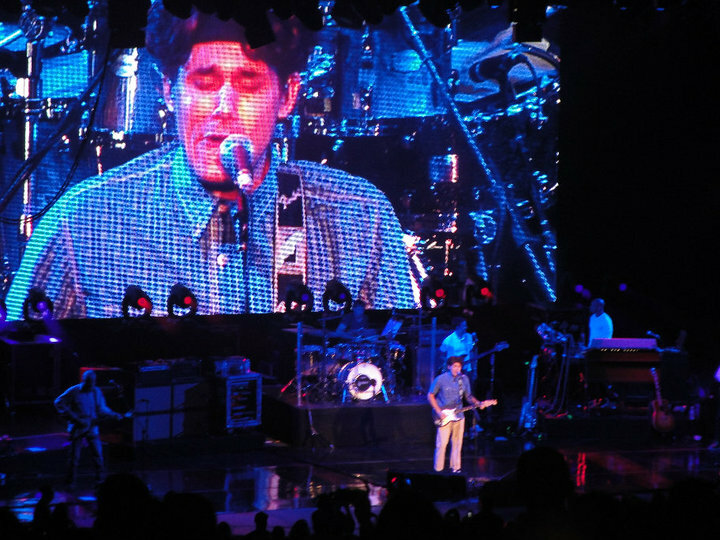 John Mayer at PNC Bank Arts Center, New Jersey. My next Reverb adventure will be at the Brett Dennen concert in D.C. Looking for another way to combine your love for volunteering and music? Check out HeadCount which promotes community activism by getting people to register to vote, right at the concert! Iconic performer Lauryn Hill stopped at Rams Heads Live to play an energetic set on February 10. Before I handed over the $65 for a ticket, I really tossed the idea back and forth. But once a friend hopped on board, I didn’t need much more convincing. On the drive downtown we sang along to the Grammy winning The Miseducation of Lauryn Hill and as we got closer pumped up the volume to the Fugees. But one thought kept popping in our heads…what time would she actually go on stage? This past August, Hill joined Wu Tang Clan, Rakim, KRS-One, Snoop Dogg and A Tribe Called Quest at Merriweather Post Pavillion for the Rock the Bells tour. I had tickets for the festival, but had to give them up last minute. Although she reportedly came on stage two hours late, I was still bummed I missed her and was more the reason to catch the singer while in Baltimore. So after driving the streets looking for a cheap and close parking spot, we finally made our way into the venue around 10 p.m. The tickets said she’d be performing at 11p.m., but along with the rest of the crowd, we prepared ourselves for a late night. After chatting for awhile with the group around us, Hill’s DJ took the stage to get the audience ready for the show. The DJ spun old school hip-hop and reggae which seemed to be the perfect mix to get the crowd moving and to get me to join a little dance circle to show off some moves. Hill set the stage around midnight and the audience was filled with excitement. Starting off the night with a Bob Marley cover, “Loving Jah”, she quickly went into a mix of songs from her impressive list, including the first time she and her band performed “Everything is Everything” together. Hill kept her set going with Fugees material and even though my feet began to ache a little I was jumping with the crowd to the rhythm of the music. On our walk back to the car we talked about the show since between the dancing and jumping we didn’t chat much when Hill came on. With our ears buzzing and songs replaying in our heads, we agreed it was a good choice we made it. All this action on a Thursday night was a good way to get out of my normal routine and do something new. If you’re looking for something to do during the week and want to hear live music, there’s always something going on in Baltimore. It doesn’t have to be an award-winning musician or a large venue performance, something even low-key and intimate could be just what you need as a middle of the week pick-me-up. Look at our Collegetown Calendar of Events for ideas.